My only love, good bye! 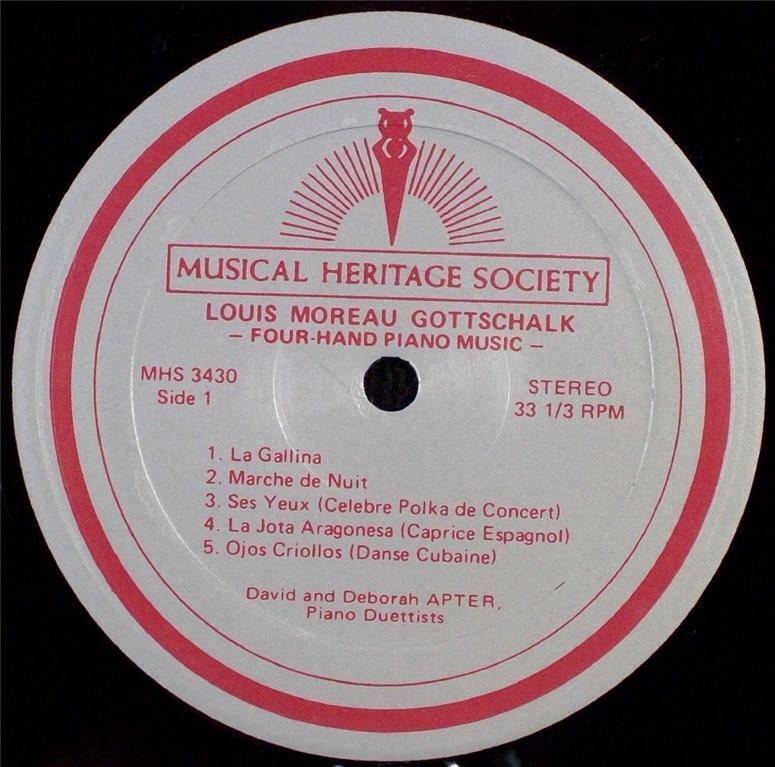 Variations on "Auld Lang Syne"
"THE MONSTER CONCERT IN CELEBRATION OF LOUIS MOREAU GOTTSCHALK"
Overture to William Tell : abridged / Gioacchino Rossini ; arranged by Louis Moreau Gottschalk (Eugene List, Joseph Werner, pianos ; Douglas Riva, organ) (10 pianos) (6:30). 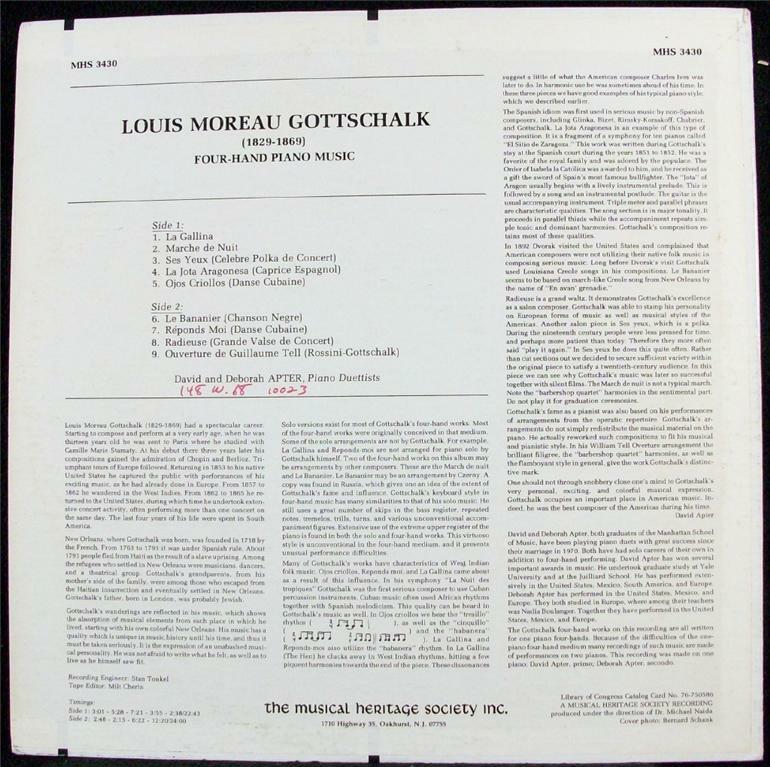 Louis Moreau Gottschalk: A Bio-Bibliography by James E. Perone (ISBN 0313318247) - for each work, references performances, recordings and bibliographic sources. Categorizes works according to instrumentation, and cross-references each to Robert Offergeld's RO index numbers. 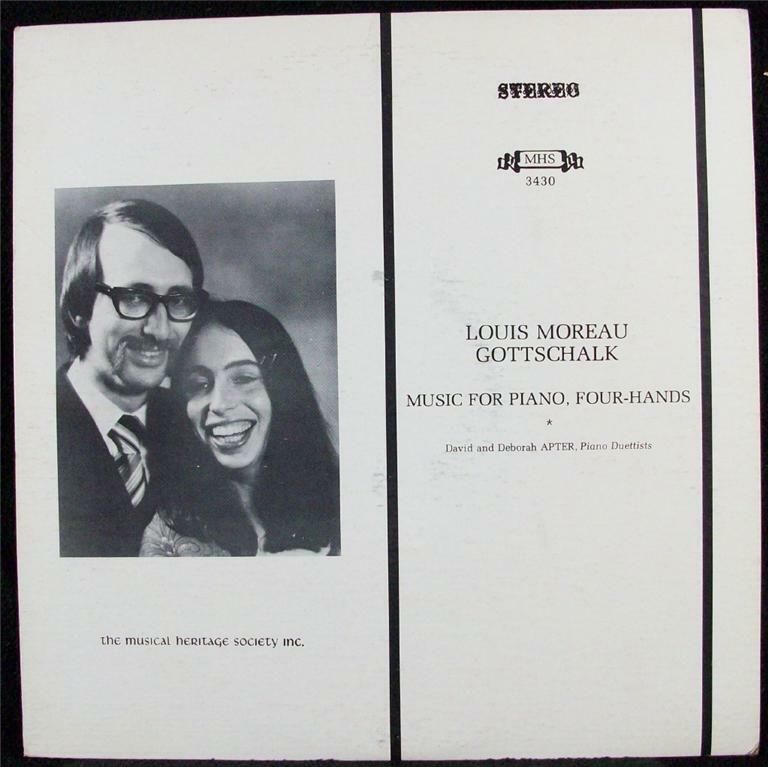 The Piano Works of Louis Moreau Gottschalk: Edited by Vera Brodsky Lawrence. Richard Jackson, Editorial Adviser. New York: Arno Press and The New York Times, 1969. 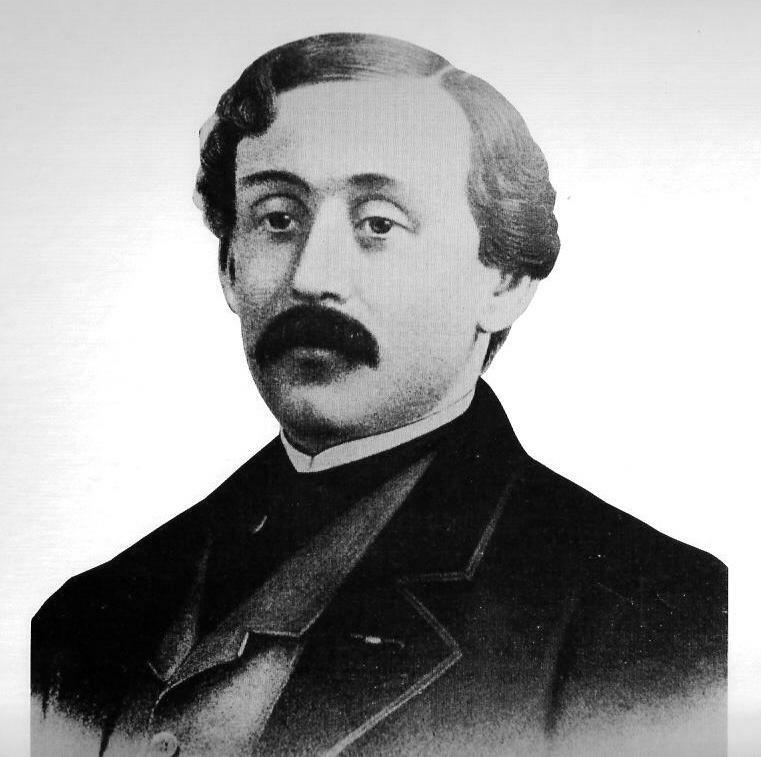 Five volumes, 1,469 pp., ten illustrations.